As we approach the four-year anniversary of the July 15, 2009 murder of journalist and human rights defender Natalia Estemirova, the violence continues in Russia. Just yesterday, Akhmednabi Akhmednabiev, a journalist whose work was critical of local authorities, was killed by a gunman in Degestan. He had been under threat since 2009. 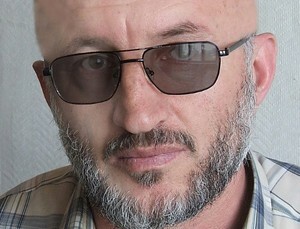 Akhmednabiev, deputy editor of the independent newspaper Novoye Delo and a contributor to the independent regional news website Caucasian Knot, reportedly had just gotten into his car outside his home in the Makhachkala suburb of Semender at 7:00 a.m. local time when an unidentified assailant opened fire. He had been the target of a prolonged, escalating series of threats, and in January, gunmen fired at Akhmednabiev in almost exactly the same spot, but missed. He repeatedly asked authorities for protection, but they refused. This time, those who wished him harm succeeded, and he reportedly died instantly. Attention now turns to the murder investigation, in a country with an abysmal record of apprehending and convicting those who assassinate journalists. Natalia Estemirova’s murder still has not been solved. Neither has Anna Politkovskaya’s—though the shooter was convicted, the masterminds behind her October 7, 2006 killing remain free. Both women worked tirelessly to expose human rights abuses in Chechnya. As we protest Akhmednabiev’s killing and continue to press for full resolutions of the Estemirova and Politkovskaya murders, we did receive one heartening bit of news this past week. Earlier this year, we reported that Stanislav Dmitrievsky, who founded the Russian-Chechen Friendship Society (RCFS), was facing charges after prosecutors sought to ban his book, International Tribunal for Chechnya, which he co-authored with fellow activists Oksana Chelysheva and Bogdan Guareli. Last week, Human Rights Watch reported that the Dzerzhinsk City Court in Nizhny Novgorod, where Dmitrievsky is based, rejected the petition that the book is “extremist in nature.” He will not face criminal charges. So Dmitrievsky is safe—for now.